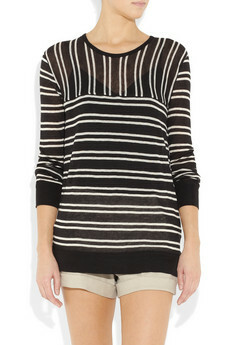 Everyone needs a stripy, lightweight sweater for cool summer nights! Buy yhis T by ALexander Wang one at Net-A-Porter for $110. I really like how the yoke (neck area) goes vertical for a more dynamic piece!